‘Hiko Shrine’, officially released through Bandcamp on Monday 26th January, is the latest album by The Virgance, solo project of Nathan Smith formerly of Ripley and Loveless. It delivers everything that an experimental, “instrumental shoegaze/dreampop/noiserock” album should. There are intense barrages of guitar looped frenzy, counterbalanced with dazzling washes of ethereal bliss. ‘Hiko Shrine’ is The Virgance’s second album, following the success and critical acclaim of its predecessor, ‘Lost Continent‘ which was released in February 2014. The nine tracks on the album appear to peel off between the turbulence of ‘Propulsion Lab Part I’ and the following, ‘Mobius Strip’, ‘Breitling Orbiter’, ‘Airsick’, ‘Freon Presence’ and ‘Interceptors’ for the first two-thirds, followed by the repose of ‘Propulsion Lab Part II’, ‘Eos and Astraeus’ and ‘Slingshot’. Within this context, the track titles in themselves, conjure and evoke the albums flight themed imagery. To these ears, ‘Part I’ feels more representative of powered flight, scramjet propulsion, punching through the atmosphere, whereas ‘Part II’ sounds freer of mankind, gliding with a more otherworldly grace. Chr – I was intrigued to read on your webpage that The Virgance was originally set to be a one-off project with the release of ‘Lost Continent’, was this in part due to the autonomy afforded by the internet and the advent of digital media release? NS – Well, certainly the net and digital media allowed me to get the album out there, but to be honest, at that time I couldn’t see where any more ideas were going to come from, having written music for many years and only just getting over the finishing line with ‘Lost Continent’. It was meant to be one last hurrah on the guitar after years spent on synths, and also just to prove to myself that I could make a decent piece of work on my own. I was always a band member in the past, so the idea of being in sole charge of a one-off project done at my own pace was appealing. Ultimately it proved to be both liberating and overwhelming in equal measure. Chr – Can you elaborate on the concept behind ‘Hiko Shrine’? NS –The Hiko Shrine in Japan was built by Chuhachi Ninomayi, as a place to pay homage to the casualties of flight disasters. He was actually the first man to properly design the aeroplane, but he didn’t have the funding for production as The Wright Brothers later would have. ‘Hiko’ is Japanese for flight. The album is based around the concept of human flight, albeit fairly loosely. Some of the tracks reference our atmosphere, like ‘Freon Presence’ (CFCs), and ‘Eos and Astraeus’, the Greek deities whose offspring were the Four Winds. ‘Slingshot’ refers to the Minovitch slingshot method of non-human (thus far) interplanetary propulsion using gravitational force. Chr – Having moved to a more rural setting prior to embarking on The Virgance, has this had a conscious influence on your music that wasn’t there before? NS – A lot of influences which can be heard, such as some of the Creation bands, were ingrained during my youth and have never really gone away, but I do believe that moving to the countryside has helped with my ability to form ideas and given me a sharper focus. It also allowed me to buy a much bigger house! I am definitely someone who feels the benefits of calmer, leafier surroundings and I suppose that is quite often reflected in the nature of my sound. Similarly I imagine a hiphop artist or dubstep producer, for example, would benefit from living and working in an energetic, noisy urban environment such as the one I left. Chr – How does the technology coupled with I’m guessing, vintage equipment, allow you to explore avenues that may not have been available previously? NS – It is definitely all there for the taking now, endless possibilities. Of course you need money for powerful computers, the latest software and also a lot of time and patience to learn and really take advantage of technology. I have barely scratched the surface in this respect as my technology is extremely limited. Without wanting to get too geeky, I record in an old version of Adobe Audition which is nineties software essentially, and I am a bit odd for a shoegazer as I have next to no pedals or amplifiers! Being a working family man with limited funds and no time to learn new programs has dictated this. I play straight into the computer through a Line 6 pod, which is an amp simulator with a few very basic effects such as reverb and delay. I use an old version of Reason by Propellerhead to record synths and program the rhythm sections, which are then exported into Audition to accompany the guitar. In short, I’m a bit awkward and old fashioned in my approach to technology! So far it has definitely been secondary to guitar performance in my thinking. This may, and probably will have to, change in the future. Chr – I love and adore this “genre” of music, for the benefit of myself and other embarrassingly non-musicians, can you elaborate a little on the effects and techniques, a solo artist like yourself harnesses in achieving your sound? NS – As I said, the guitar is my passion and the rest is an afterthought. The guitar idea comes first, then I play with it and enjoy it over a period of time until I am ready to record it as one take, kind of like a live performance. It’s quite rare for me to edit or layer guitars. The drone sound you hear is from playing sat down on the floor, bending the guitar against my thigh. The bruises are worth it! I don’t like tremolo guitars for tuning reasons. I often use strange tunings, which allow you the luxury of having both open strings that ring and sustain, and maneuverable pretty chord shapes simultaneously. In this way you can achieve a full-bodied live guitar performance whilst also realising a necessary amount of the melody in your head. That is just the way I like to do it. Someone of greater intellect and patience like Brian May would have it all laid out in their head first, like a classical composer, and gradually layer it all up, but that doesn’t sound like much fun to me. It has to be fun. Chr – Given that The Virgance is now an established vehicle, do you have any plans to take to the road, and any thoughts on translating the albums for live performance? NS – I currently have no live plans, there are many reasons for this. I would need some band members for a start! Being so fond of classic rhythm sections such as Moon & Entwistle, I cannot imagine doing a rock gig with bass and drums as backing tracks. I would need many, many guitars as I use lots of different tunings. The mental image of me sat down, rocking back and forth like a mental patient to achieve my sound is not appealing. I would want my own soundman as I have many bad memories of gigs with rubbish sound. The lottery that is live sound still haunts me, and that was from playing in a conventional four-piece band, so you can understand my trepidation at the thought of piecing all this together in a solo live situation. I am well aware of the constraints of not playing live, but to be honest, writing and producing more records is all that matters to me really. If I was 21 again I might feel differently! Chr – Finally, where did the name The Virgance come from? NS – The Virgance refers to an immaculate conception, a virgin birth. Obviously a term found in religion, but I actually first heard it in Star Wars and was really intrigued by it. “I have encountered a virgance in the Force”. As I was finishing ‘Lost Continent’ I had thought of 20-odd potential names that I liked, and The Virgance was the only one I Googled which hadn’t been used for a band or album before! A big thank you to Nathan for his willingness and candour in answering these questions. ‘Hiko Shrine’ is an album that will cosset and edify, with each nuanced microphysical absorption. I have consciously opted on this review to avoid all but the briefest of descriptive glimpses to the music, because this is an album that simply has to be heard. ‘Hiko Shrine’ needs to be listened to, and through listening, savoured and appreciated for the vastness of it’s realised ambition. 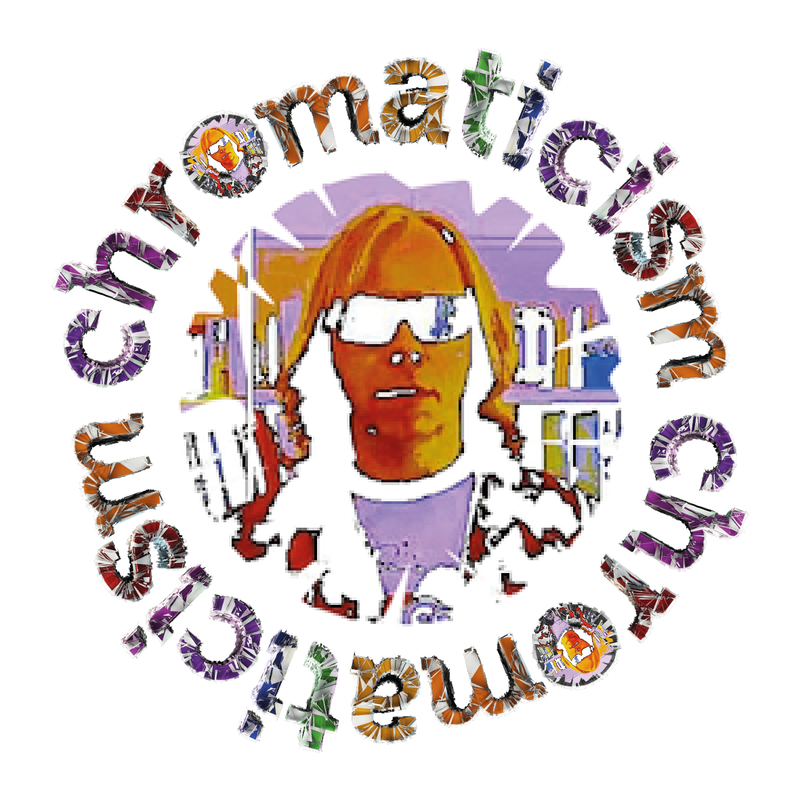 Exceptional job here Chromaticism ! You’ve really done well in letting the musician speak, and asking the questions we would all like to ask. It’s great to read a review where it’s not al about the reviewer. From the clips on here this is pretty good music, thanks for shining a light on a great, new to me anyway, talent, top job, keep it up and Thanks !